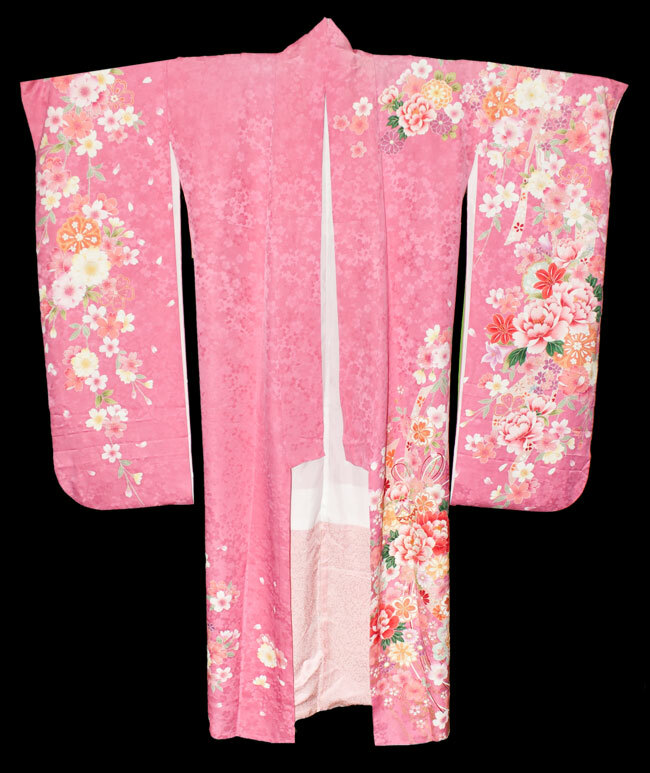 Kimoyes item: 21605 - Exceptionally pretty pink silk woman's vintage furisode kimono with all over woven blossom pattern. 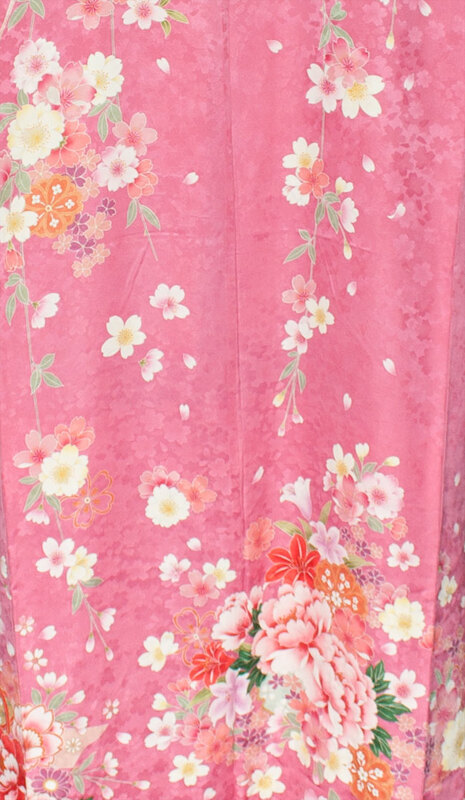 Exceptionally pretty pink silk woman's vintage furisode kimono with all over woven blossom pattern. 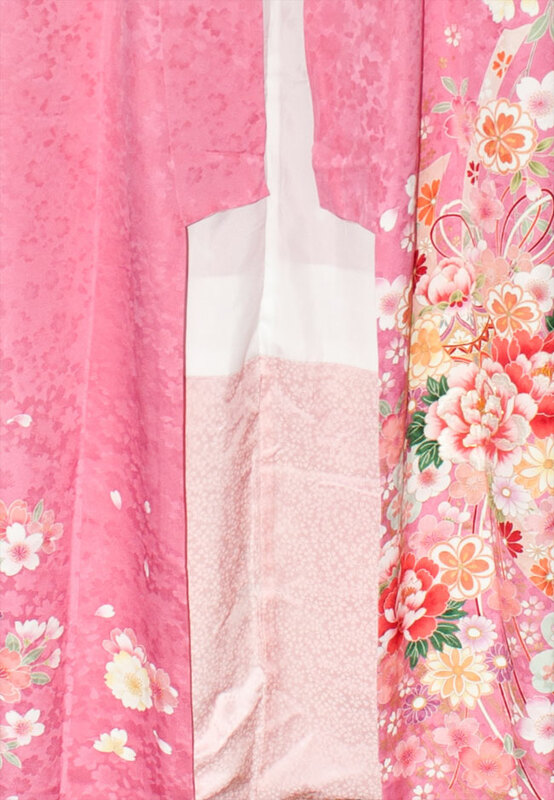 It is also dyed with other spring flowers. 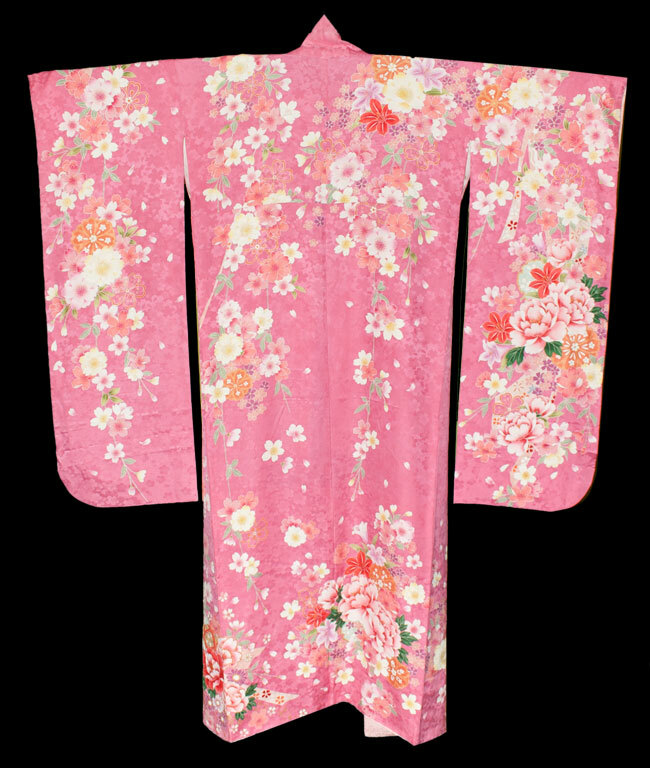 This kimono is very soft with contrasting silk lining which makes it ideal for wearing. It is 63 inches long and 58 inches from sleeve edge to sleeve edge. The sleeves are very long and there is lots of gold couching.